DPF Removals on the 2.0TDi PD Engines are one of the most common to carry a DPF Removal service on and the same engine is found across many VAG group cars (Audi, Seat, Skoda & Volkswagen / VW). We’ve been doing DPF Removals on these vehicles for many years now but many companies and individuals have had nothing but problems with these engines, so much so that some have even stopped offering the services for such vehicles. – Others continue to offer the services but most do warn you that problems may arise. Fault Code: P242F, P0471, 18434 & 08194 etc..
Why Are The 2.0TDi 170Bhp DPF Removal Service So Problematic? The vehicle comes installed with a Siemens PPD ECU and the majority of companies across the country are using what is known as “Automated Software” which we speak about in our Automated Software article, this clearly explains the problems that can arise from using such software. The Siemens PPD ECU is very complex and has 100’s of hidden interlinked data strings relating to the DPF system and the problem is, the software that most companies even today are using just doesn’t find all the hidden and interlinked data strings but it does find the generic DPF file structures and simply deletes them and that’s it, nothing more. So where’s the problem in that? – It will never completely disable the DPF system.. at most it will mask the errors but it will never cancel out the DPF Regeneration and if it continues to regenerate then you will damage the pump injectors, turbo charger and in most extreme cases a complete engine failure can occur. 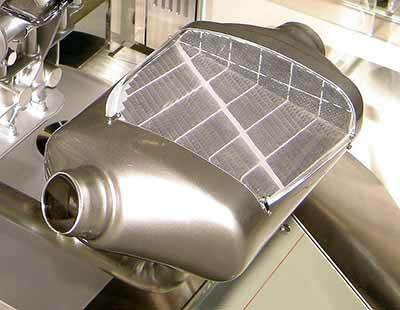 How Will Sinspeed Remove my DPF? We download your PPD ECU Data files and manually scan through them to locate and delete the generic DPF file structures and continue to scan through and locate every single hidden and interlinked data string relating to the DPF system. Some interlinked data strings are combined and programmed with other sensors such as the Lambda, Temperate, Air Mass & Exhaust Gas Pressure Sensors. We modify these strings to remove the DPF settings and recalibrate the sensors to ensure they will continue to perform optimally even after the DPF has been removed. 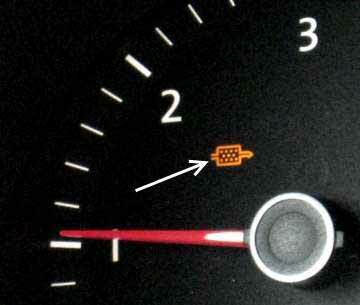 This is the ONLY sure way to guarantee a successful DPF removal with no problems for the future. What Do You Mean Guaranteed MOT Pass? Since January 2012 the MOT regulations have become even more stringent then before, for example it is now officially illegal to remove the Catalytic Converter from the exhaust system or even modify/remove any emissions related components which would negatively effect the emissions. – So how do we Guarantee an MOT Pass? If we were to (like other companies) just remove the DPF and disable it from the ECU then no, we couldn’t possibly guarantee an MOT pass because it will most definitely effect the smoke-test results of the Annual MOT. However, what we do is very different because with EVERY DPF Removal service we offer, we carry out a Free Smoke-Correction Service to ensure your vehicle will continue to meet the emissions standard and thus guarantee an MOT pass. To learn more about this service, check out our article on our smoke-correction service. 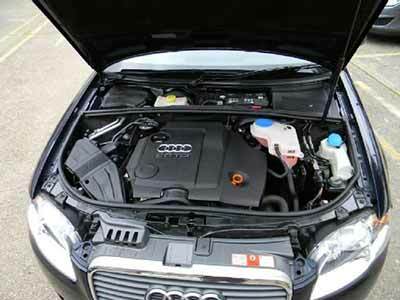 Tags : Audi A3 2.0TDi DPF Blocked, Audi A3 2.0TDi DPF Problems, Audi A3 2.0TDi DPF Regeneration, Audi A3 2.0TDi DPF Removal, Audi A4 2.0TDi DPF Blocked, Audi A4 2.0TDi DPF Problems, Audi A4 2.0TDi DPF Regeneration, Audi A4 2.0TDi DPF Removal, Audi A6 2.0TDi DPF Blocked, Audi A6 2.0TDi DPF Problems, Audi A6 2.0TDi DPF Regeneration, Audi A6 2.0TDi DPF Removal, Seat Leon 2.0TDi DPF Blocked, Seat Leon 2.0TDi DPF Problems, Seat Leon 2.0TDi DPF Regeneration, Seat Leon 2.0TDi DPF Removal, Skoda Octavia 2.0TDi DPF Blocked, Skoda Octavia 2.0TDi DPF Problems, Skoda Octavia 2.0TDi DPF Regeneration, Skoda Octavia 2.0TDi DPF Removal, Volkswagen Golf 2.0GT TDi DPF Blocked, Volkswagen Golf 2.0GT TDi DPF Problems, Volkswagen Golf 2.0GT TDi DPF Regeneration, Volkswagen Golf 2.0GT TDi DPF Removal, Volkswagen Passat 2.0TDi DPF Blocked, Volkswagen Passat 2.0TDi DPF Problems, Volkswagen Passat 2.0TDi DPF Regeneration, Volkswagen Passat 2.0TDi DPF Removal, Volkswagen Passat DPF Removal, VW Golf 2.0GT TDi DPF Removal, VW Passat 2.0TDi DPF Removal. We need to know your location to give you a customised quotation. I have sent you an email, please respond to the email with your postal / zip code and we can quote accordingly. We’ve sent you an email, kindly respond to the email with your postal code for a customised quotation. Hi there could you give me a round about quote please for a Dpf removal and she blank and delete.